In order to install pillars, we use a professional self-propelled track-laying machine, which allows to set up to 200 supports of a height 1.5 to 3.5 meters without a preliminary drilling per shift. Steel pipes with diameters (D) ranging from 50 to 80 mm, wall thickness (h) of 2 mm and more than 2 mm. Non-circular pipes of size A ranging from 20 to 80 mm, size B ranging from 40 to 120 mm, wall thickness (h) of 2 mm and more than 2 mm. Non-circular pipes of size A ranging from 40 to 80 mm, size B ranging from 40 to 80 mm, wall thickness (h) of 2 mm and more than 2 mm. Roll-formed channel, hot-rolled channel of size A ranging from 30 to 55 mm, size B ranging from 60 to 120 mm, wall thickness of 2 mm and more than 2 mm. 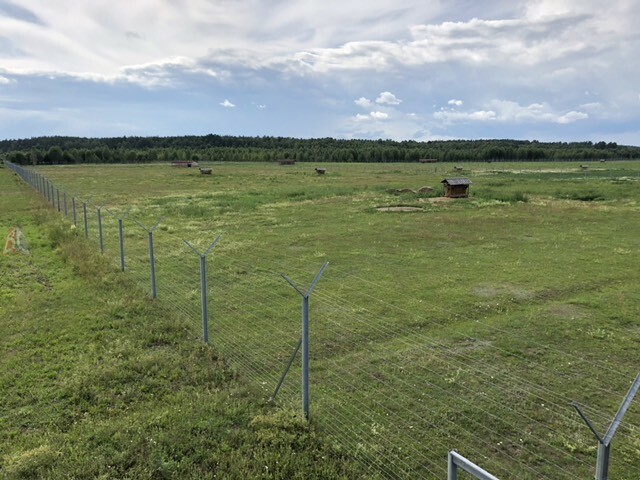 Production of fences is carried out in Europe and the Republic of Belarus and meets all Belarusian and foreign standards. You can find the information on the types of enclosing structures in the profile section.